ABC Dinos is an educational game for preschool kids and elementary school first graders to learn to read and write vowels and consonants. It adapts to each child's age group, allowing them to choose the letter that they want to learn whether in uppercase or lowercase. In addition, ABC Dinos has English voices which allows the youngest children (preschool) to hear the words without needing to know how to read. 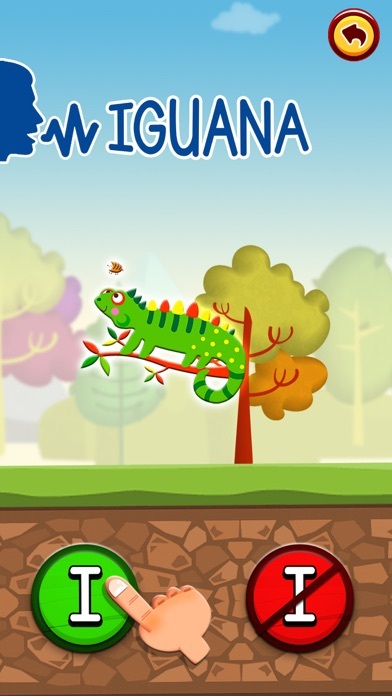 DESCRIPTION ABC Dinos is an educational game for children. 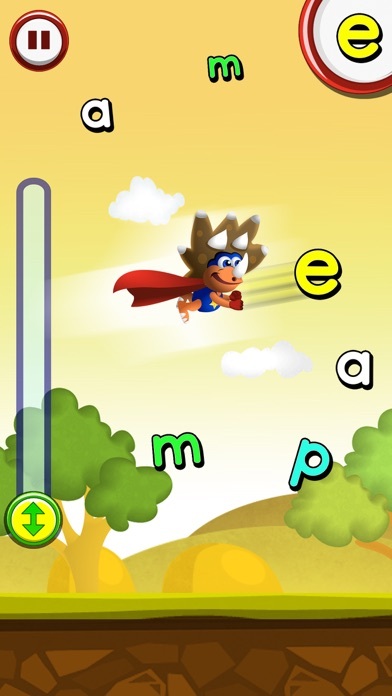 With spectacular results, the game makes it possible to learn letters and improve reading and writing, regardless of each child's learning level. The screen interface is attractive and simple allowing children to play alone without needing an adult. All this learning is wrapped in a magical story full of emotions, action and fun surrounded by funny characters such as Finn's family, our Dino, and the ""crazy"" ogres and their dragons. 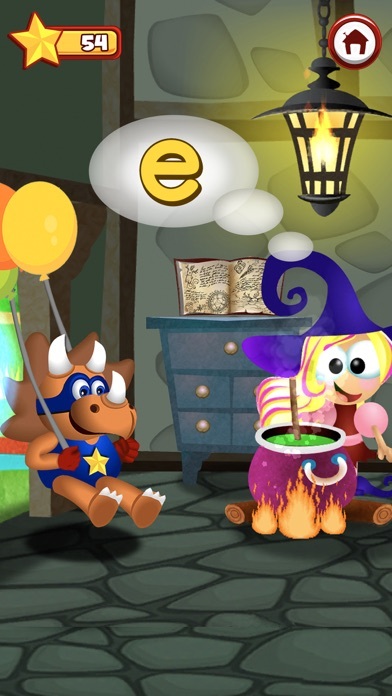 Help Finn free his family by collecting the magic letters that make ogres transform into funny animals ! ENGLISH VOICES We have incorporated English voices to repeat the literacy activity words and statements. With this we not only manage to make our activities accessible to all ages, but it also allows us to incorporate auditory recognition activities, which are so valuable at this stage in their learning (Preschool and 1st grade). OBJECTIVES - Learn to read - Visual and auditory memorization - Discrimination of vowels and consonants - Discrimination of the letters of the alphabet - Improvement of understanding - Learn to draw the outline of all the letters of the alphabet (vowels and consonants). - Expand vocabulary with: animals, professions, objects, clothing, nature, etc. LEARNING GAMES - WRITE THE LETTER In this educational game the kids have to draw the shape of each letter. As a prize they will receive an image that begins with that letter. They can choose the preferred mode of writing: joined up or printed handwriting. At the same kids will also have the possibility to trace each letter of the alphabet in uppercase or lowercase. - WORD FORM This activity consists of the formation of level-appropriate words by dragging each letter to its corresponding place. And since we know that this quite difficult, we will help the little ones by changing the shape of each letter as if it were a puzzle piece that fits in. In this way all children, regardless of their age, can progress with word formations and then go on to expand their vocabulary and begin to learn to read. - WHERE ARE THE LETTERS? This is, without doubt, one of the most fun learning games in our APP. The child has to find the matching letter of the two cards as quickly as possible. 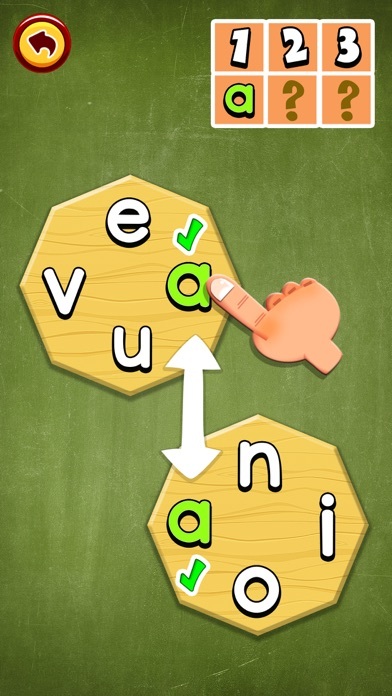 This game aims to strengthen visual recognition of vowels and consonants. - WHICH LETTER DOES BEGIN WITH? In this activity the kids will hear a word and see its picture. They have to guess the letter that the word begins with. 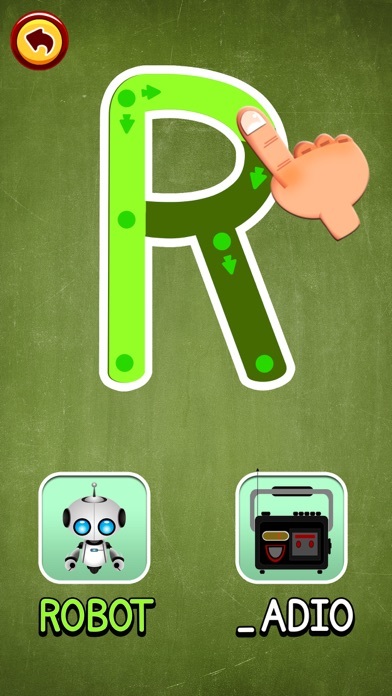 The auditory recognition of each letter of the alphabet and the expansion of their vocabulary are the two main objectives of this educational game. ADAPTS TO YOUR AGE At the beginning of the game it will ask about the child's level so you don't need to worry if your son or daughter doesn't yet know how to read or write. 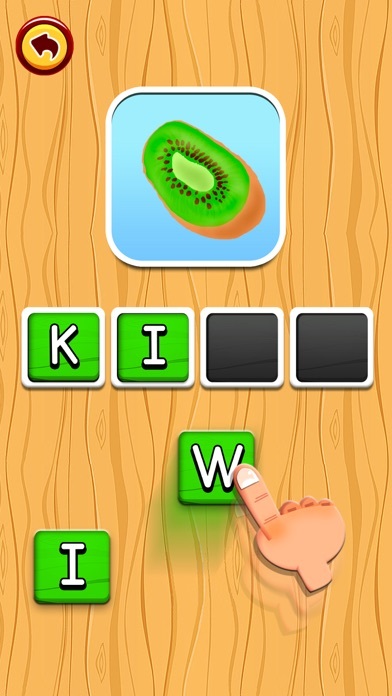 It adapts to their learning level and you can choose which letters you want to work with and repeat at any point. 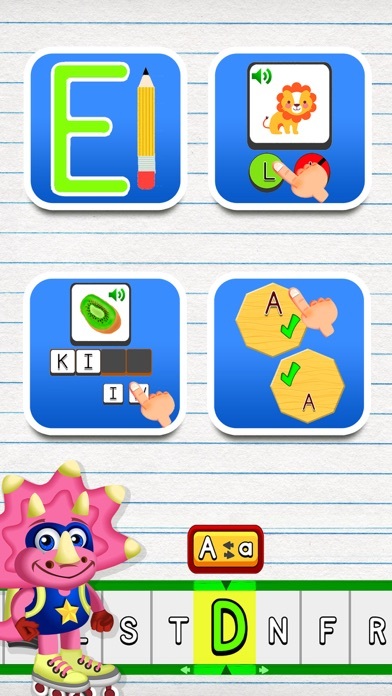 TRY IT, IT'S FREE ABC Dinos is free, so what are you waiting for? Download it now. There is an in-app purchase which allows you to unlock the entire game. You can choose any letter of the alphabet and complete the whole adventure. Company: Didactoons Recommended age: For children aged between 3 and 7 years old (preschool and 1st - 2nd grades of Primary).